Man seated in studio - John Bruce, Whitefield, Watten, May 1875. 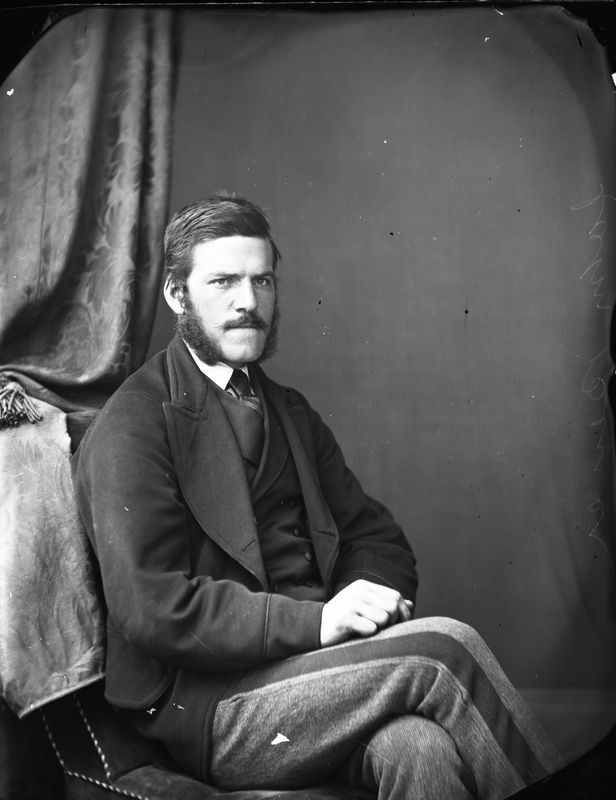 "John Bruce (c.1853-1895) was a stone dyker in Watten, 3rd son of Peter Bruce, crofter at Whitefield, and Elizabeth Sutherland. He never married, and died at the age of 42." ----- Thanks to John Humphrey, Canada, for this contribution. If you have information about this photograph, the people, or places in it, then please tell us what you know by clicking the button below. Your information will be added to the database to become a part of the permanent record that we are trying to create. The database of information for these photographs is a work in progress and has been put together by a very small team. Because of this there may be errors and we need your help to get it right. Please tell us what you know, and inform us if you see a mistake. Log in or register to comment on this photograph.